Beautiful and rare, sillimanite is named for the famous American geologist Benjamin Silliman and was relatively unknown until a substantial find was discovered in Orissa, India in the 1990's. Sillimanite is not only scarce, but also difficult for miners to identify and problematic for cutters. These three attributes ensure that sillimanite remains a true exotic gemstone. Sillimanite ranges from colorless to white, brown, yellow, blue and green in color and consists of compact fibrous material that has a silky luster. A polymorph of kyanite and andalusite, sillimanite makes an exciting addition to any gemstone collection. RI, SG and fracture, possibly fluorescence and birefringence. 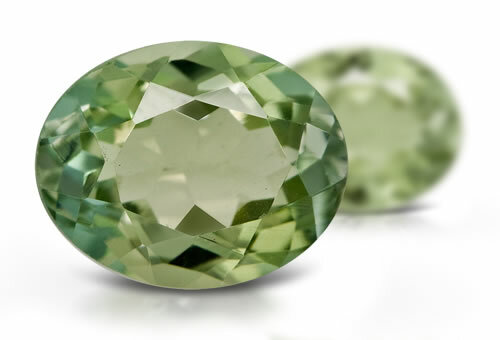 Sillimanite is one of the most difficult gemstones to fashion. Sillimanite is often vertically striated and they might contain rutile needles or hypersthene's fibers.